STAY – Skills To Assist You in living your healthiest life; a 12-episode community extended PSA program. Listen to inspiring in-depth interviews with local and regional mental health activists discuss how they’re helping to build personal and community resilience in the aftermath of tragedy. 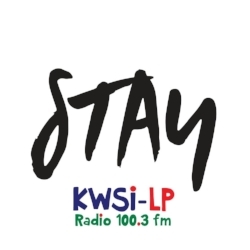 Program Hosted by KWSI-LP Radio 100.3 FM, whose mission is to connect and empower under served community members and organizations by providing opportunities and resources to enhance education and to inspire community engagement, action and volunteerism.